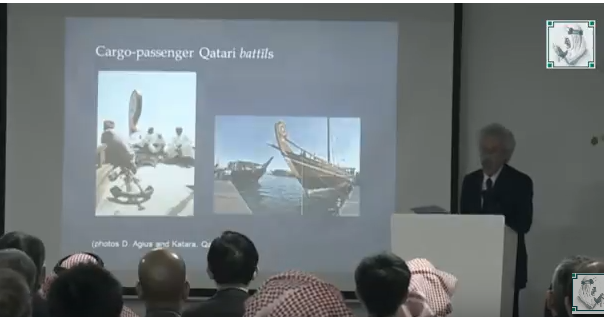 This lecture explores how sea and mainland trade with China was one of the most important aspects of the flourishing of Islam in the Middle Ages, as well as the Hajj, which contributed to the trade and cultural exchange between Arabs and Muslims on the one hand, and Chinese on the other. Sea voyages to China were a great danger for the medieval travelers of the Islamic era, and the passengers were risking their lives because of poor security factors and poor conditions on the ships for sailors and passengers in terms of water shortage, poor sanitation and overcrowding. Overland, the Silk Road was one of the most important routes linking China to the Arab and Islamic worlds. It enabled the transportation of iron, copper, perfume, ivory, silk, gold, amber, ceramics, precious stones and others. Dionisius Agius is a Fellow of the British Academy and Emeritus Al-Qasimi Professor of Arabic Studies and Islamic Material Culture at the University of Exeter. He is also Adjunct Distinguished Professor at the King Abdulaziz University, Jeddah.